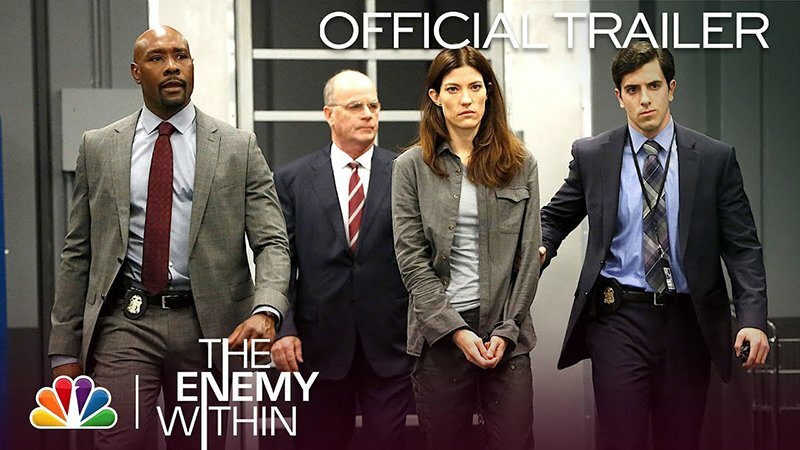 NBC has released the official trailer for their upcoming drama series The Enemy Within, starring Jennifer Carpenter (Dexter) and Morris Chestnut (Rosewood). Check out the trailer below! According to Deadline, Carpenter will play Erica Shepherd, a brilliant former CIA operative now known as one of the most notorious traitors in recent American history, who is serving life in a Supermax prison. Against every fiber of his being, but with nowhere else to turn, FBI agent Will Keaton (Chestnut) enlists Shepherd to help track down a fiercely dangerous and elusive criminal she knows all too well. While Shepherd and Keaton have different motivations for bringing the enemy to justice, they both know that to catch a spy, they must think like one. The series also stars Raza Jaffrey (Homeland), Kelli Garner (The Aviator), Cassandra Freeman (Inside Man), and Noah Mills (The Brave). The Enemy Within is created, written and executive produced by Ken Woodruff (Gotham). Matt Corman, Chris Ord, and Charles Beeson also executive produce. Mark Pellington serves as director and executive producer for the pilot. Vernon Sanders also executive produces the pilot, which is produced by Universal Television. The Enemy Within will premiere on Monday, February 25, 2019, following The Voice on NBC. The post The Enemy Within Trailer: Jennifer Carpenter & Morris Chestnut Star in NBC Drama appeared first on ComingSoon.net.